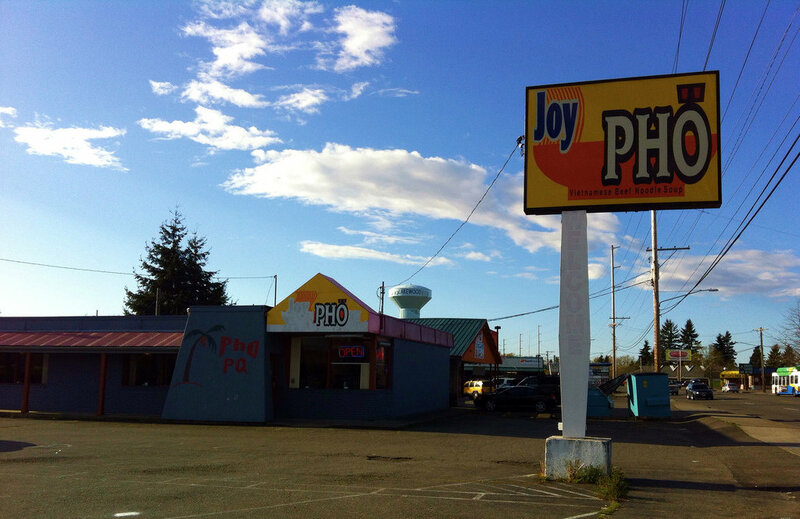 Joy Pho at 10706 Bridgeport Way SW Lakewood, WA 98499 is also known as Pho PQ (or maybe that was the previous ownership. Dear daughter and I had taken a quick trip to Barnes and Noble and then stopped here for some take out. The woman who waited on us was friendly and the food was good. This entry was posted in Coffee Shops, cafes and bistros, Lakewood, Restaurants, Take Out, WA State - Pierce County and tagged Joy Pho, Lakewood, pho, Pho PQ, take out on April 16, 2013 by admin.